Bob is a highly skilled and innovative dental surgeon. His many years’ experience and continuing post-graduate training ensure that our techniques are always state-of-the-art and best practice. Bob qualified in Dundee at the age of twenty-three. He owned his own practice in London for five years and was a member of a Harley Street Study Club on advanced Crown and Bridge work, before moving to the Southwest with his family. 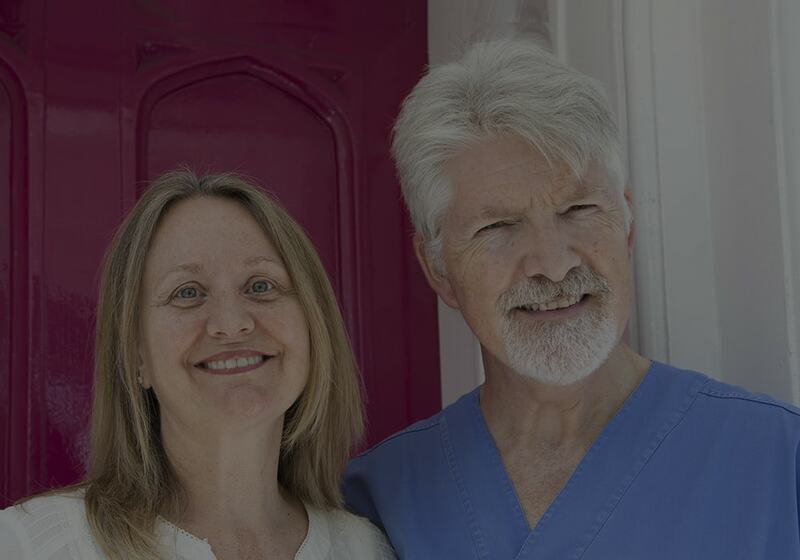 He was appointed as one of the first ten vocational trainers for new dentists in the Southwest and his practice in Honiton was the first in East Devon to treat adults on a private only basis, whilst still treating children on the NHS. He set up Contemporary Dental in Exeter as a centre of excellence for private dentistry in 1994. He has always been committed to professional development and has a long history of postgraduate study, including extensive training in Implant Dentistry and Orthodontics, winning a national prize for Orthodontic Diagnosis. He gained Membership of the Faculty of General Dental Practitioners of the Royal College of Surgeons in 1998 and was director of the Southwest group for the Faculty. 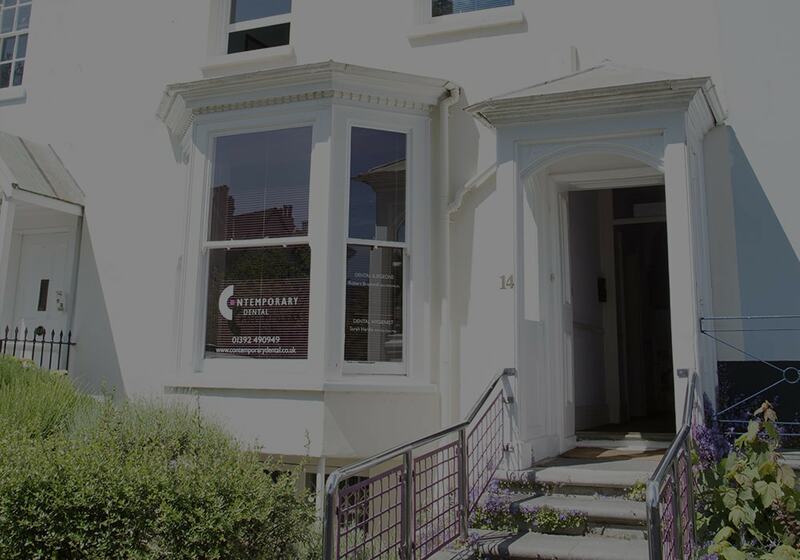 Bob has established Contemporary Dental as a referral practice with much of his diary dedicated to providing implant treatment, along with advanced surgical, reconstructive and cosmetic dentistry. He has been a member of the Association of Dental Implantology since its formation in 1989 and now has more than 26 years’ experience placing and restoring dental implants. He is also the ADI mentor for Devon. Bob and his wife, Dale, live just outside Exeter and together they have seven children and six grand-children. They enjoy dog-walking, skiing and travelling, and spending time with their ever-growing family! Dale is our Practice Manager and she oversees all aspects of the practice. She is a qualified Medical Secretary and joined us in 2002 after ten years’ experience working in GP surgeries and at the Royal Devon and Exeter Hospital. Dale has a good understanding of implant and general dentistry, and has travelled with Bob to many post graduate courses. She works hard behind the scenes, enabling the whole team to provide the best possible care for patients in a positive environment. She is Bob’s wife and is committed to the success of the practice. We believe that one of the most important stages of your journey through our practice is the welcome you receive in reception – that’s why three of our most experienced team members share this role. Two of our nurses, Nina and Amy, work with our Manager, Dale, to take care of everything before and after your appointments and we know it’s really important to help you feel relaxed, and confident that we will look after you – from start to finish! The administration and reception team manage the diary and will be happy to liaise with you on any aspect of your treatment. Amy and Nina play a vital role here, and, with their knowledge of dental treatment, they make a valuable contribution to front of house. Amy has recently gained a Diploma in Management and Administration to add to her nursing qualifications. Nina is our most experienced nurse, gaining her NEBDN Certificate in 2000. She particularly enjoys working with our very young patients and brings a really calming approach especially when working with anyone who feels anxious about dentistry. Amy joined us straight from school and now leads our nursing team! As well as achieving her NEBDN Certificate in 2008, she gained a Certificate in Dental Radiography in 2011. She has a special interest in Implant and Surgical Dentistry. Sarah qualified as a hygienist in 1987, while serving in the armed forces. With almost thirty years’ experience of working with patients, she has an accurate and gentle touch and will carefully clean the parts of your mouth which are difficult for you to reach. More than 80% of tooth loss is caused by gum disease, so Sarah has a very important role in our practice to help you achieve a high standard of oral hygiene, which will contribute to your overall health and well-being. Sarah is a member of the South West Peninsular Group for the British Society of Dental Hygiene and Therapy. She is currently the treasurer and is involved in the organisation of Continual Professional Development for Dental Care Professionals. She has a special interest in the treatment of Perio-Dontal Disease and Peri-Implantitis. Sarah likes to keep fit and enjoys Yoga and dog walking.